Colombia offers exciting sights and activities that can be enjoyed by parents and kids alike. From fascinating museums such as the Museo de Oro in Bogotá, to parks, city tours, horse riding and snorkeling, there is always something for your little ones to enjoy. This article covers the best sights and activities for families. Colombia has plenty to offer families. 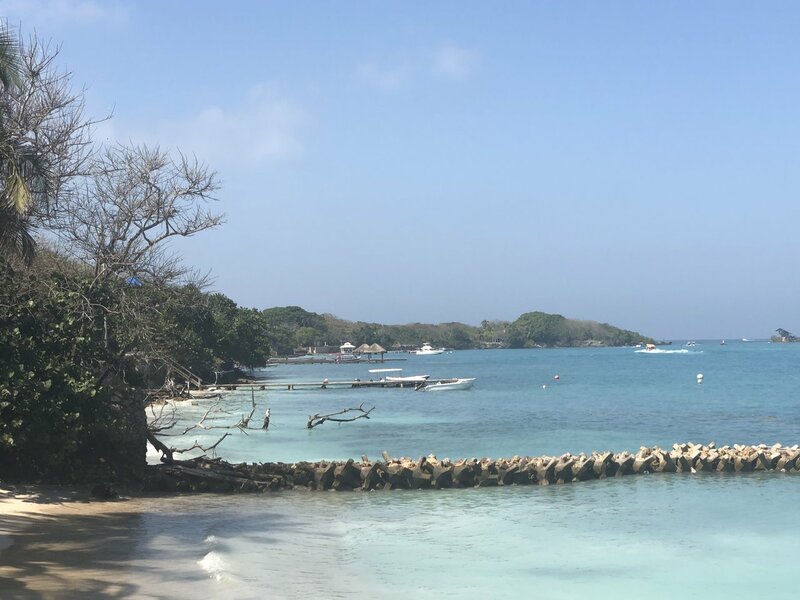 One of the most popular options is a relaxing beach holiday in Cartagena and points along the Caribbean coast – kids will love the warm water and snorkeling. 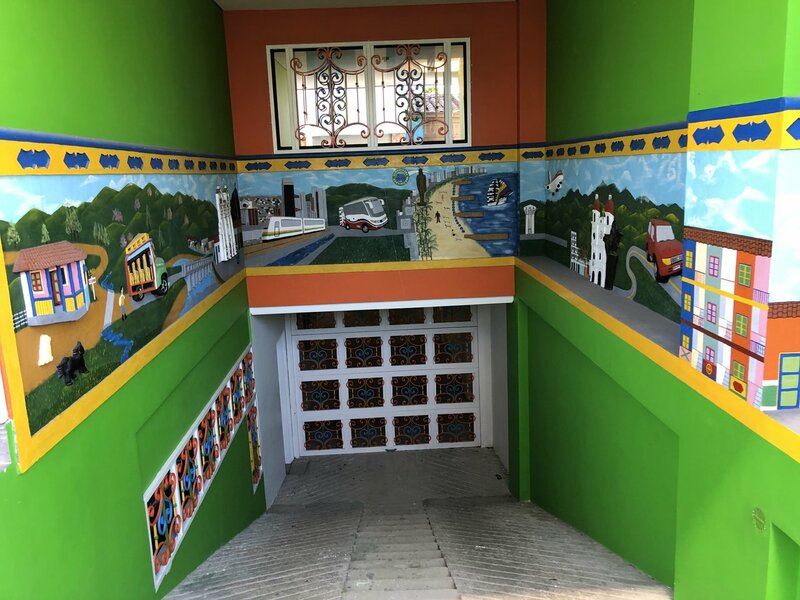 Families looking for a more urban adventure can explore the big cities of Bogotá and Medellín, both offer kid-friendly activities, museums, and parks. 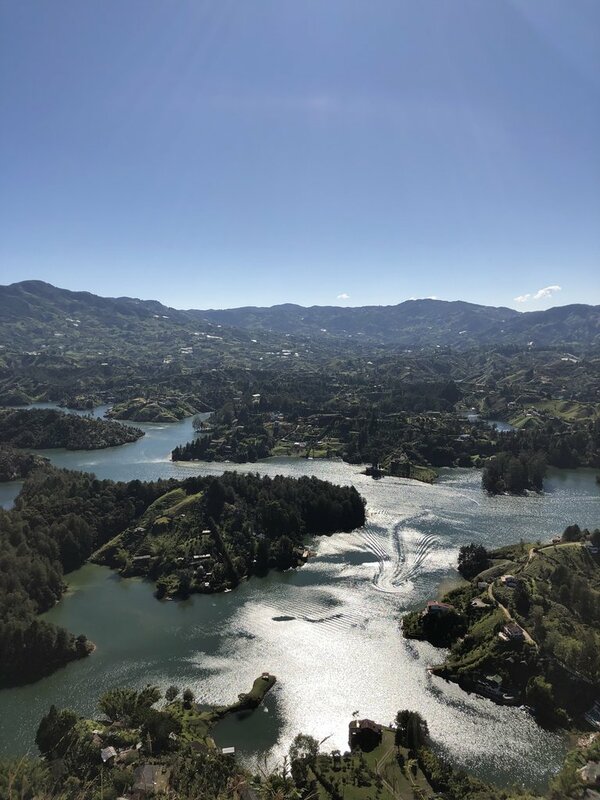 Another option is a tour of the Coffee Country, where you can enjoy activities at haciendas, some light hiking in national parks and visits to hot springs. Make sure vaccinations are up to date and everyone has six months of validity on their passports. Pack hats for everyone, plus plenty of sunscreen and insect repellent. Take it easy in high altitude areas, including Bogotá and take precautions against altitude sickness. Long drives and kids don't always go well together, especially on Colombia's mountainous roads. Consider flying if a travel time is likely to exceed five hours. To avoid spending too much time on packing, unpacking, and transport, most families prefer to stick with just one region for trips that last about one week or less. Cartagena and the Rosario Islands make a great destination for a five-day trip. 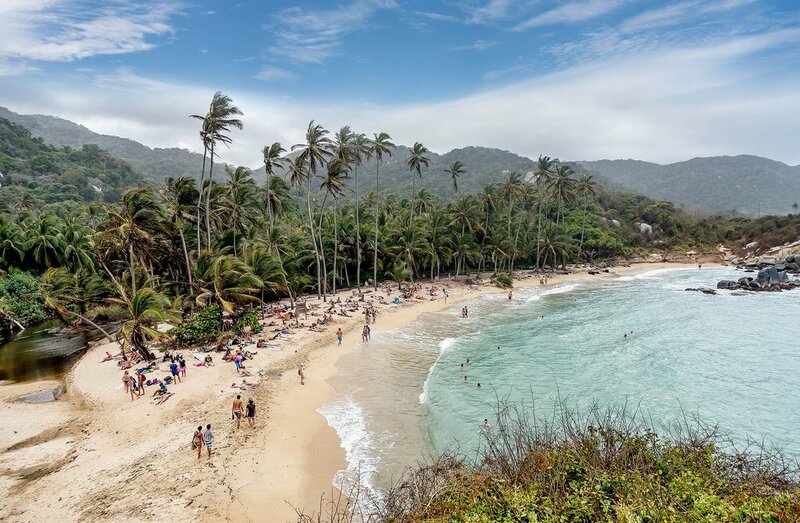 With a couple more days you can head east along the Caribbean coast to visit Minca and Parque Nacional Tayrona. 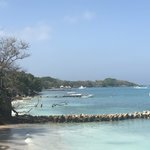 This part of Colombia is great for beaches and snorkeling. 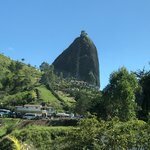 Another option on a shorter trip is Bogotá and its surrounding areas. The capital has excellent museums, bike tours, and great parks. 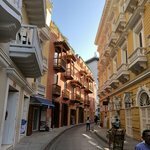 If you have more than a week on the ground, you could consider combining Bogotá and Cartagena. Alternatively, if you prefer urban areas, visit just Bogotá and Medellín. The latter offers yet more great museums, some designed specifically with kids in mind. 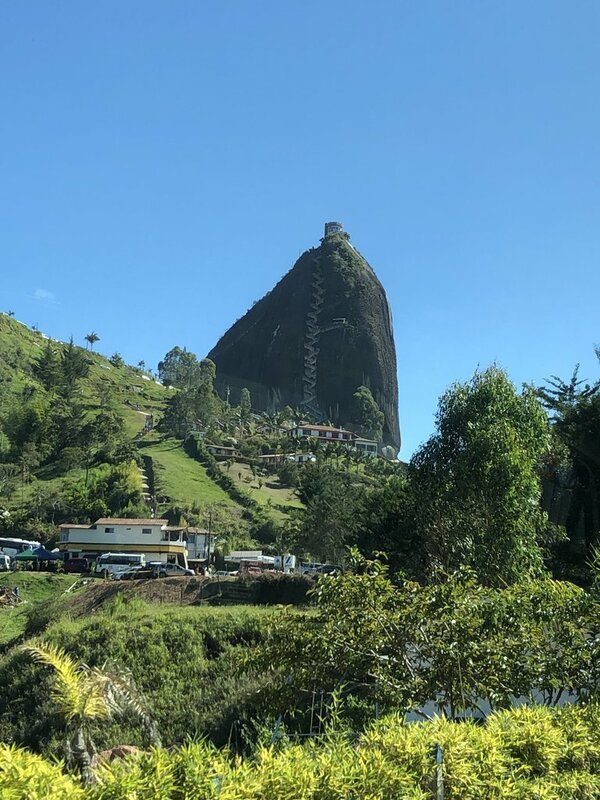 With up to two weeks, you could visit the previously mentioned places, plus take a tour of the Coffee Country, which has opportunities for horse riding, light hiking, and visits to hot springs. Horse riding: Available across the country but most popular in the Coffee Country. Hiking: there are good light hikes in the area around Bogotá. Older kids will enjoy the five-hour hike in the Valle Cocora. Scuba diving or snorkeling: On the Caribbean coast near Cartagena or the Rosario Islands. The snorkeling is also good on San Andrés island. Whitewater rafting & Adventure sports: In San Gil, this is a great place for older kids who can make the most of the adventure opportunities. Attending a professional football match: If your kids love sports, attending a professional football match can be a memorable experience. 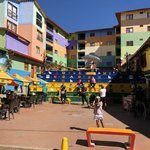 Consider doing this in Bogotá or Medellín. The season lasts from February to early December. 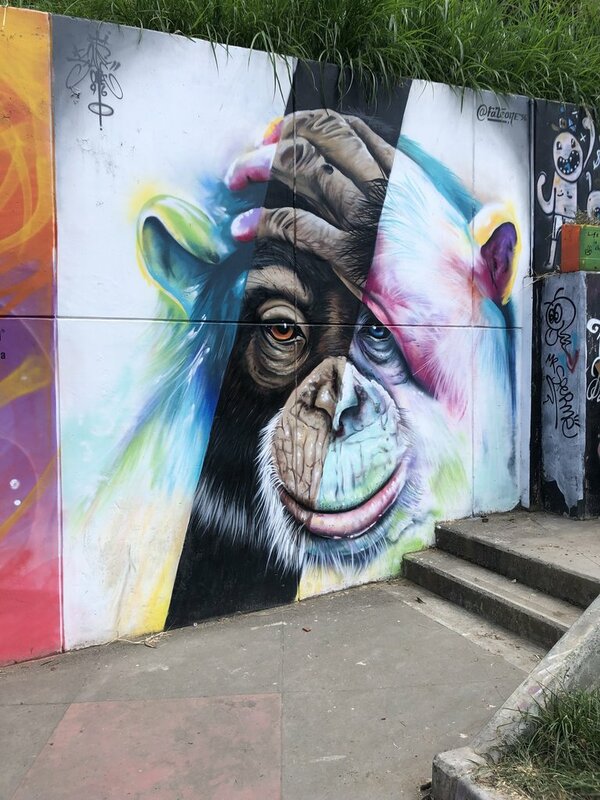 Visiting a zoo: The best zoo in Colombia is located in the city of Cali. Amusement Parks: Colombia's largest amusement park is National Coffee Park. It located 18km west of Armenia in the Coffee Region. 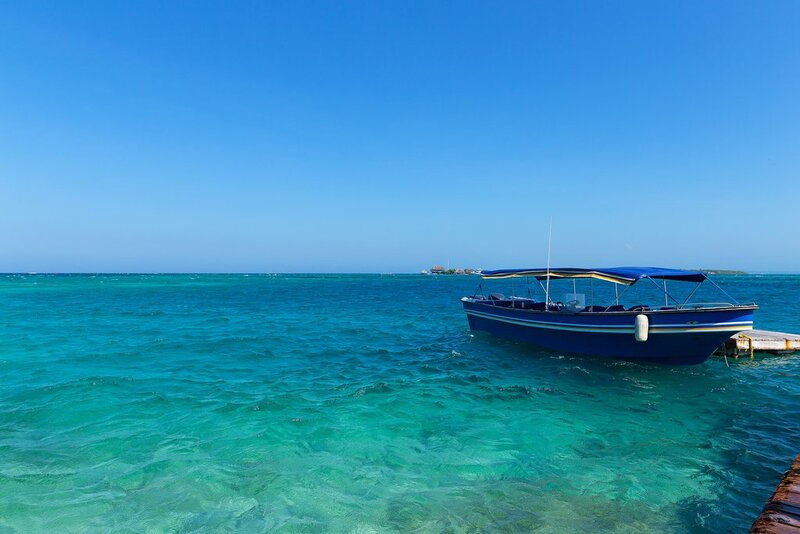 The Rosario Islands off the coast of Cartagena make for a great day trip for families. Cartagena is a city that can be easily loved by people of all ages. 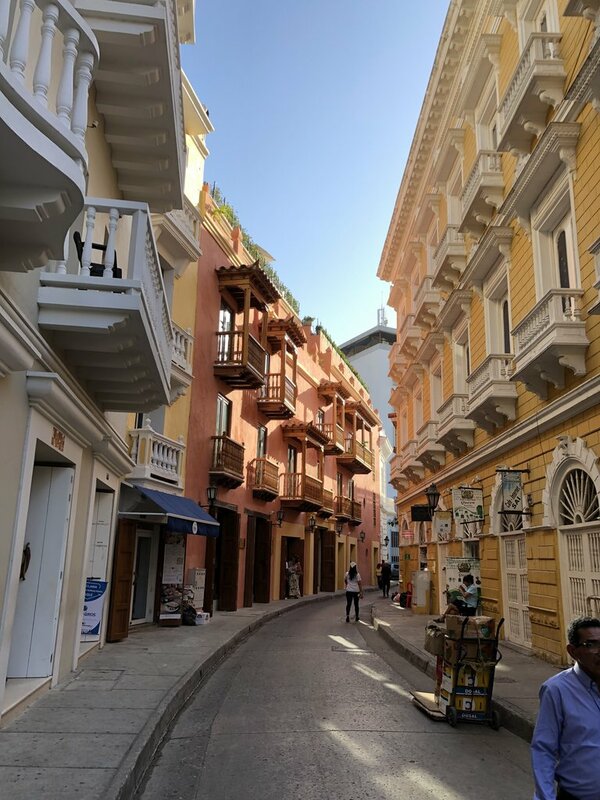 It's colonial old town is great for on-foot exploration. The Museo del Oro Zenú (Gold Museum), full of pre-Columbian relics, is a top attraction. The more kid-ready Museo del Cacao (Chocolate Museum) includes bookable chocolate making workshops. The Museo Galeón Bucanero (Buccaneer Galleon Museum), a replica of a 17th-century Spanish galleon, is fun for kids who love to play pirate. 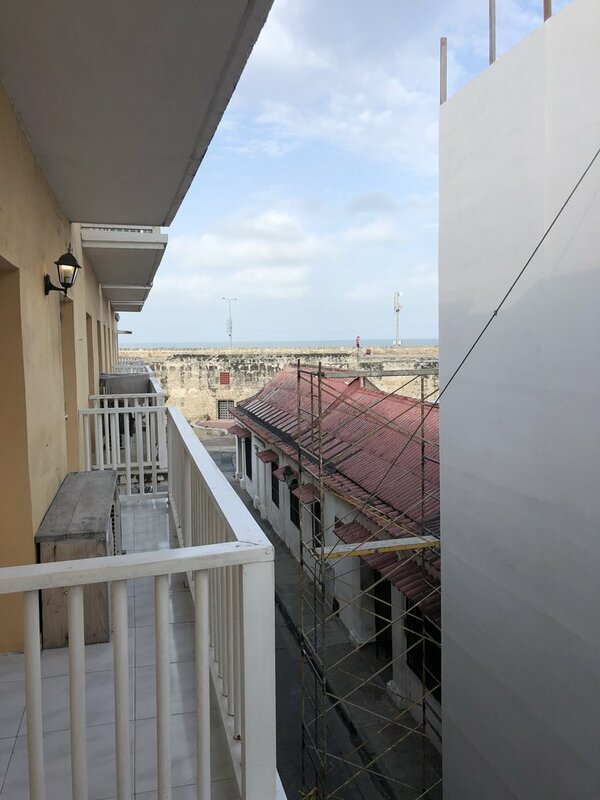 To really get a sense of Cartagena, though, and in a way that kids will adore, you should book a Pirate Scavenger Hunt, complete with pirate costumes, operated by This Is Cartagena. Outside the walls, the hilltop Castillo San Felipe de Barajas has a clear view of all approaches to the city, whether by land or sea. Kids will love exploring the tunnels under the fort. While Cartagena has some decent beaches, the best beaches in the area are on the Rosario Islands, 45 minutes away by boat. Kids will enjoy snorkeling in the turquoise waters. 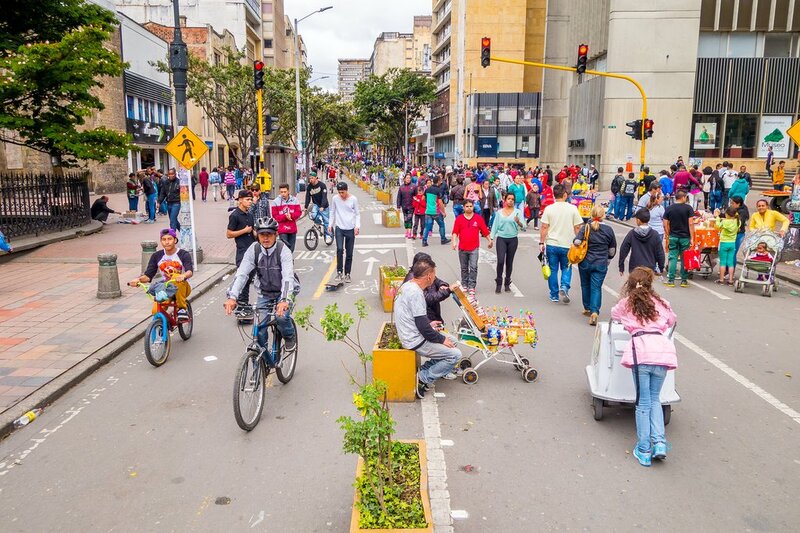 Families, bikers, and pedestrians take over the streets of Bogotá on Sundays. Start your tour of Bogotá with a cable car ride to the church at the top of Monserrate, a nearby mountain with spectacular views of the city. 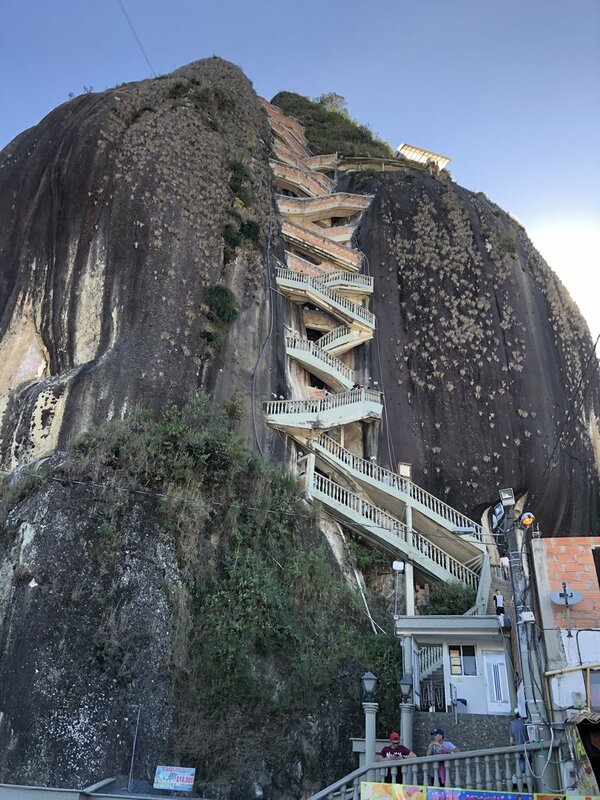 It's also possible to hike the 1500 steps to the church, a great idea for active families. 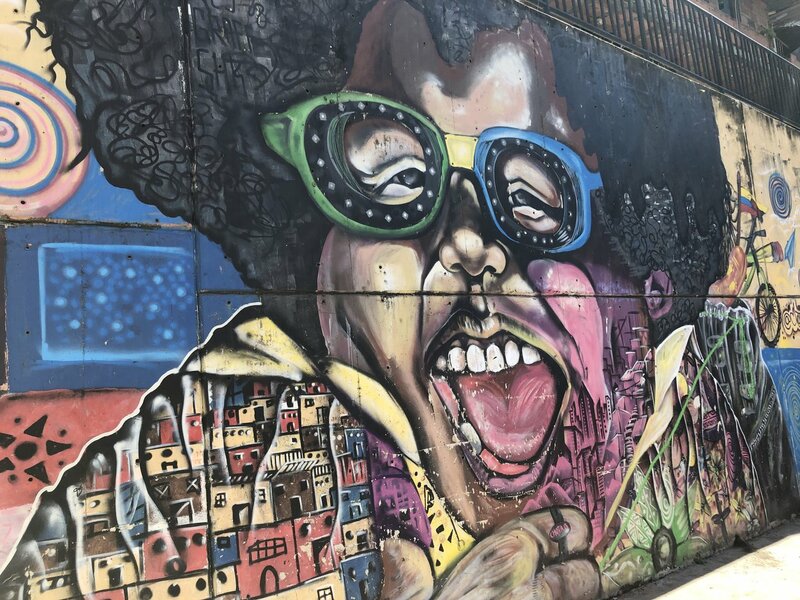 One great way for kids to experience the historic La Candelaria neighborhood is the daily, pay-what-you-like Bogota Graffiti Tour, an in-depth look at the city’s abundant street art. 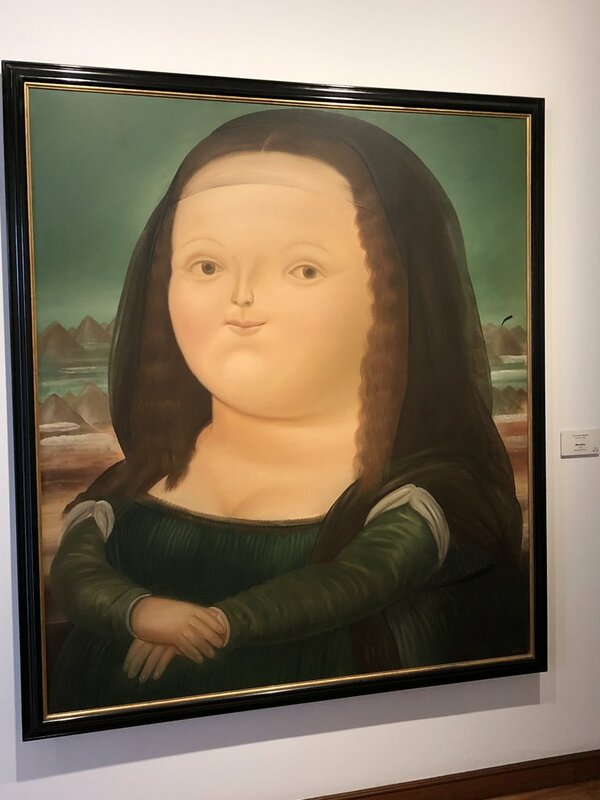 Don't miss the museums around here, including the educational Museo del Oro (Gold Museum), and the free Museo Botero. 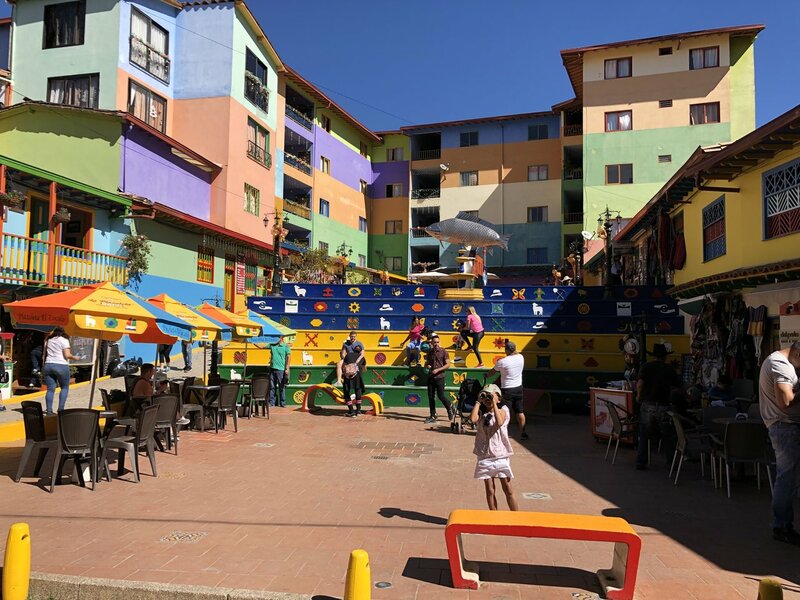 After a half-day of city exploration in La Candelaria, your kids will also enjoy a trip to Paloquemao market, packed with fruit and tasty fruit drinks, and stalls selling snacks. On Sundays from 7 am to 2 pm, 100 km of city streets are closed off to vehicle traffic. This is a great time for the family to rent bikes and explore Bogotá on two wheels. Simón Bolívar Park is a fun place to go for a day of relaxation. The park has excellent playgrounds, bike paths, a lake with paddle boats and grassy areas for a running after soccer balls and frisbees. Just north of the park is a Children's Museum with lots of hands-on activities. The same area also has an indoor waterslide park called Cici Aquapark. A favorite weekend place for locals is DiverCity, where kids can practice different professions. If you don't see it here, a second branch is located in Medellín. 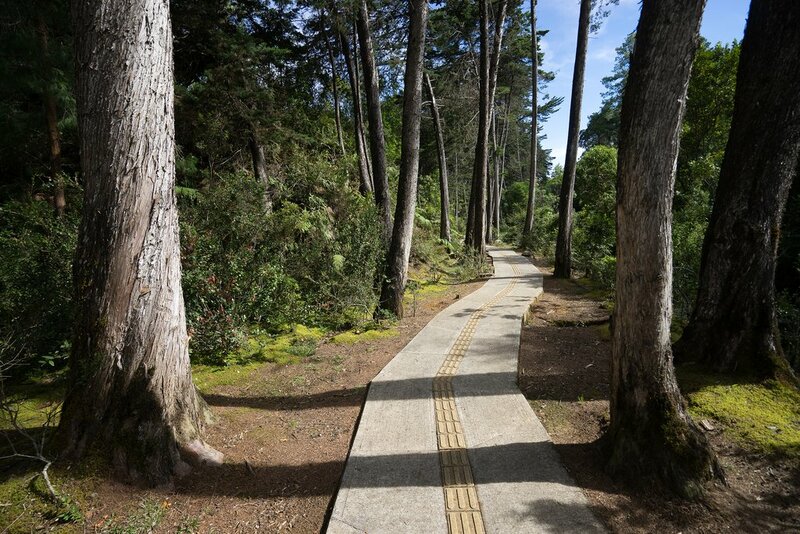 Bike path through Parque Arvi (Arvi Park), a popular place for families in Medellín. 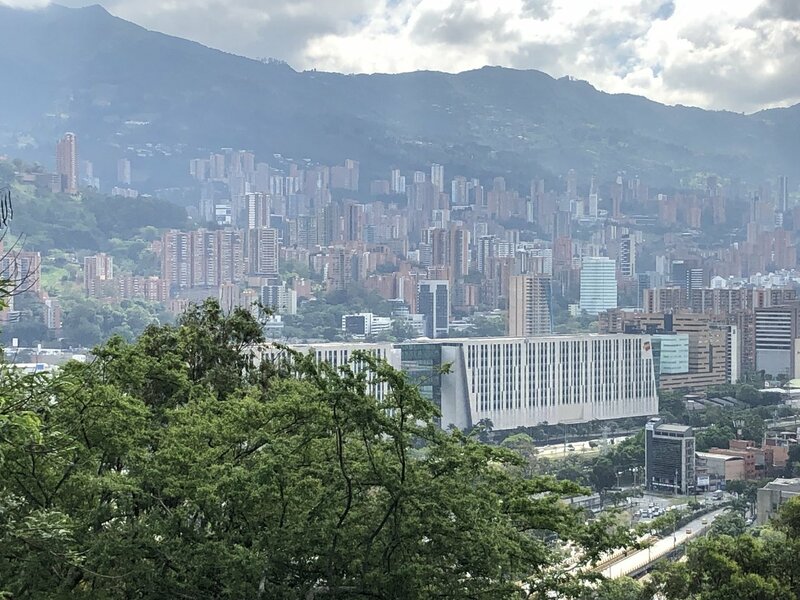 Parque Explora (Explora Park), a hands-on science museum, should be at the top of your list of things to do when visiting Medellín with the family. Go early so that you have as much time as possible. If your kids do lose steam, the adjacent Planetarium and free Jardín Botánico (botanical garden) are perfect for a change of scene. Water is central to two more refreshing Medellín installations: the Parque de Los Pies Descalzos (Barefoot Park), where play areas, fountains and quiet reading zones are all enjoyed with shoes off, and the Museo del Agua (Water Museum), an interactive, multimedia exhibition about the critical importance of water in our lives. For some outdoor fun, ride the Metrocable (cable car) to Parque Arvi (Arvi Park), draped across the hills, high above the town. The park is great for a picnic, easy nature walks and bird watching. The park has a lake where you can rent boats and a 4D cinema at a hotel complex. 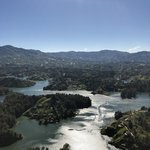 When is the best time to visit Colombia? This country can be visited year-round, however, families may need to plan their trip around school holidays and time off. The December holiday period is a great time to visit Bogotá, as the holiday lights add to the magic of the city. June to August is a good choice as this is the dry season in the Andes. Medellín is the "city of eternal spring" so you'll get great weather anytime you visit. January to March sees the best weather in Cartagena. Overall a great experience, we really enjoyed Colombia. 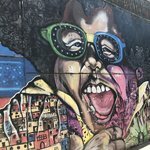 We were in Bogotá, Medellin and Cartagena and they all were worth the visit. 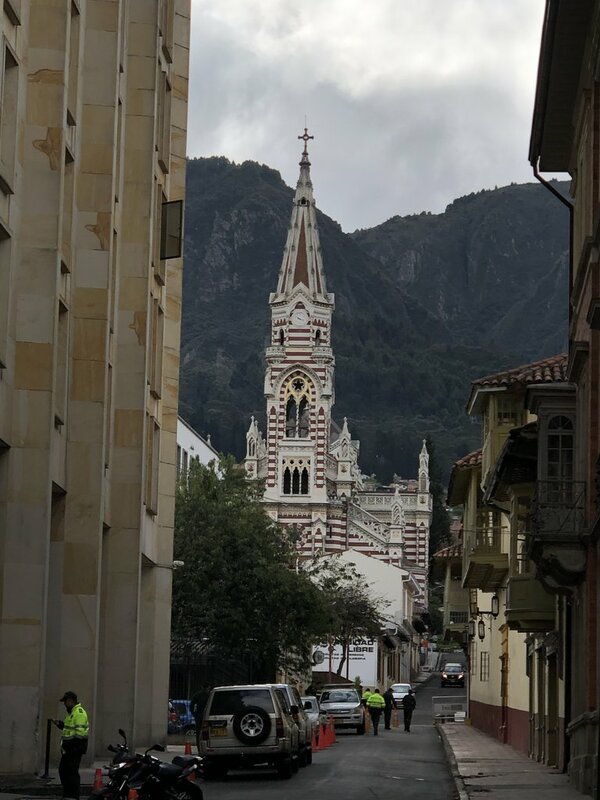 We had very good guides in Bogotá and I think we should have stayed longer. Our guide in Medellin (day trip to Guatapé) was really good too, he really was engaging. If I were to do it again I would arrange more guided trips with kimkim in Medellin. 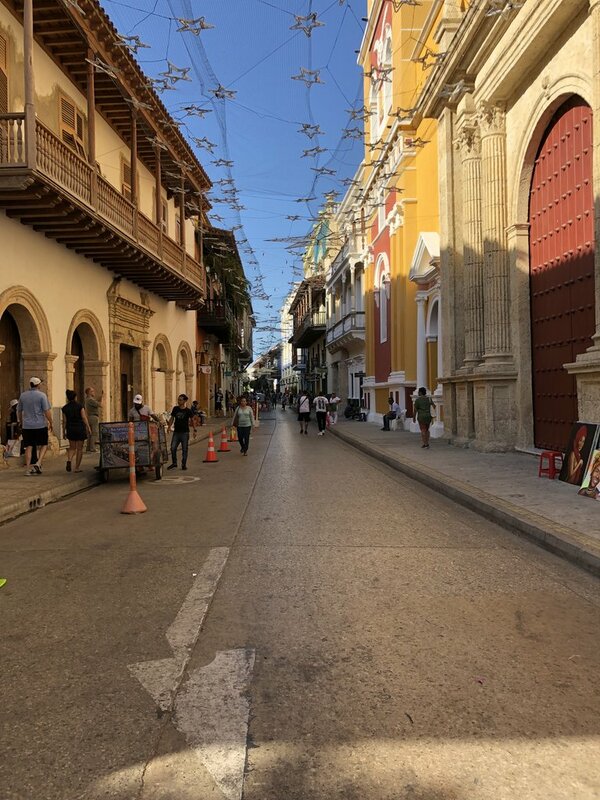 The last guide we had was in Cartagena and a tour of the city, our guide here was not the best guide, while she was personable, her English was hard to understand and she spoke very softly making it almost impossible in the city to hear what was being said. Our transfers were always extremely professional, on time with only the best and most comfortable transportation for our family. I will travel again using kimkim to help me make the arrangements. I would highly recommend Colombia to other families. My kids are aged 8, 10 and 12 and together with my wife we had the family adventure that we wanted.